For untold years, the perfectly preserved mummy had lain forgotten in the dusty basement of Boston's Crispin Museum. Dubbed Madam X, the recently rediscovered mummy is, to all appearances, an ancient Egyptian artifact. But medical examiner Maura Isles discovers a macabre message hidden within the corpse horrifying proof that this centuries-old relic is instead a modern-day murder victim. When the grisly remains of two other women are found, it becomes clear to Maura and Boston homicide detective Jane Rizzoli that a maniac is at large. Now Maura and Jane must unravel a murderer's twisted endgame before the Archaeology Killer adds another chilling artifact to his monstrous collection. 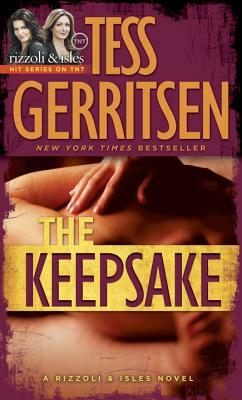 "New York Times"bestselling authorTess Gerritsenearned international acclaim for her first novel of suspense, "Harvest." She introduced detective Jane Rizzoli in"The Surgeon"(2001) and Dr. Maura Isles in"The Apprentice"(2002) and has gone on to write numerous other titles in the celebrated Rizzoli & Isles series, including"The Mephisto Club, The Keepsake, Ice Cold, The Silent Girl, Last to Die, "and"Die Again. "Her latest novel is the standalone thriller"Playing with Fire. "A physician, Tess Gerritsen lives in Maine."